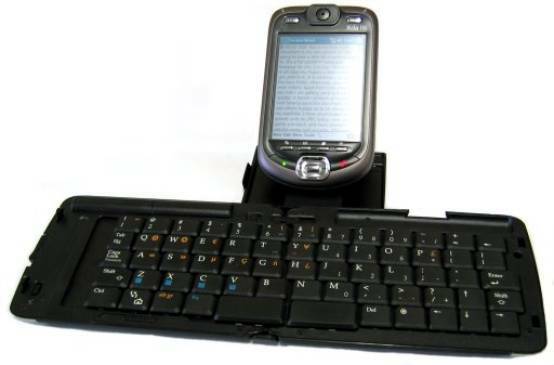 Chainpus Smartphonemate BK600 is the world’s first universal Bluetooth keyboard for Palm OS, Window CE, and Symbian OS with full QWERTY keyboard. MTekk reviewed Chainpus Smartphonemate BK600 Bluetooth Keyboard and concluded that “I have been using this keyboard for the past week and I can honestly say it’s an excellent and handy PDA accessory to have. It does everything it says it does and does it well; my only complaint is the slider switches are a little fiddly to use and the power button is in an awkward spot.